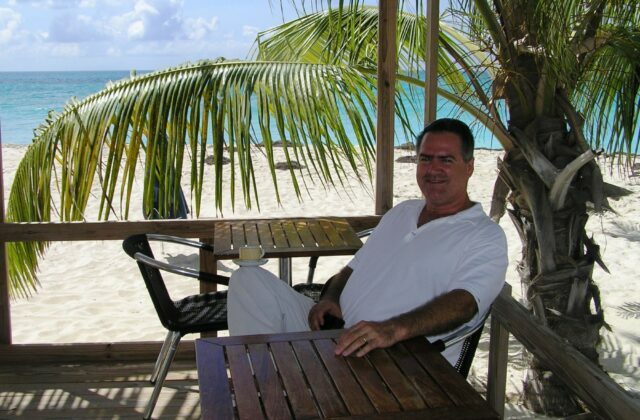 Today, Piazzi’s life as a restaurant owner on the shores of Anguilla’s West Shoal Bay Beach is like a real life movie where he plays a starring role. Piazzi’s Trattoria Tramonto restaurant serves up mouth watering authentic Northern Italian cuisine amidst a setting that would make Tom Cruise proud. The ironic thing is that Cruise is one of the few movie stars that hasn’t stopped in to sample from TT’s lunch and dinner menu. 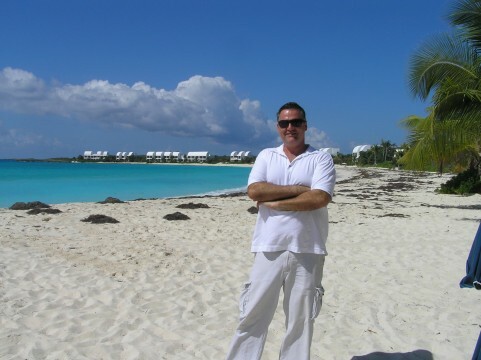 Fresh out of college from the University of Maryland Eastern Shore in 1986, Piazzi visited Anguilla with his father for the very first time. For Piazzi, the tiny island of Anguilla and its miles of white sand beach was a case of love at first sight. It would take awhile before Piazzi would actually plant roots on the island located 30 minutes north of St. Maarten. At the time of his initial Anguilla visit, Piazzi was working in the Milan area where he was born and raised. Piazzi lived the fast life for several years as an agent for an international modeling firm. All the while, his heart yearned for relaxed lifestyle of Anguilla. 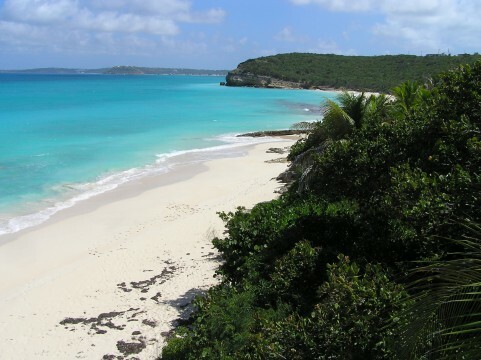 During his time working in Milan, Piazzi made annual August trips to Anguilla. On one of those trips, he met his future bride Chantal. Piazzi and Chantal would live, work, and start a family in Bologna, Italy. The pull of making Anguilla home became reality in 1997. That’s the year Piazzi’s Trattoria Tramonto began to take shape. Trattoria Tramonto means “restaurant sunset” in Italian. To this day, almost 13 years after its opening, the restaurant name is still hard for both customers and natives to pronounce. “Hardly anyone is able to pronounce the name. Most people refer to the restaurant as “TT.” I guess I should have called it Spaggia, which is the Italian word for beach”, Piazzi said. A mesmerizing beach setting and the pulsating sound of ocean waves is all part of Piazzi’s grand plan for what makes a restaurant special. During the course of one’s meal at Trattoria Tramonto, soft music ranging from opera to Sarah Mclachlan adds to one’s total sensory experience. “Dining is so much more than food. Here at Trattoria, every sense is stimulated. I’ve watched customers sit motionless as they really get into the feeling of this place,” Piazzi said. The comfort of knowing what to expect from Trattoria’s menu and it’s no hassle environment seems to work especially well for some of the world’s rich and famous. Among the recognizable names found on TT’s reservation list are DeNiro, Washington, O’Brien, Neeson, Hilton, Plant, Thurman, Pitt, and Anniston. Over the years, a camaraderie has developed between the restaurant and its loyal following. Piazzi hasn’t advertised Trattoria for years. His business has flourished through referrals and word of mouth. One tradition that has solidified this loyal bond has been Trattoria’s passing of the friendship cup. “The friendship cup is listed at the bottom of our menu. A minimum of four people must drink from this cup. “The ritual can be traced to the Italian Alps region. The cup is made from a piece of wood. It has anywhere from four to 12 spouts. Here in the Caribbean the cup’s contents include rum, vodka, gin, and maybe tequila. We also add sugar, lemon, and orange peels. Then we set it on fire and the potion caramelizes. It’s really picks you up,” Piazzi said with a devilish grin. Anguilla is a place where time stands still. Piazzi has never owned a watch since living on this island of about 12,000 people. He begins each morning sipping an espresso while sitting under the roof of a hut he built himself. 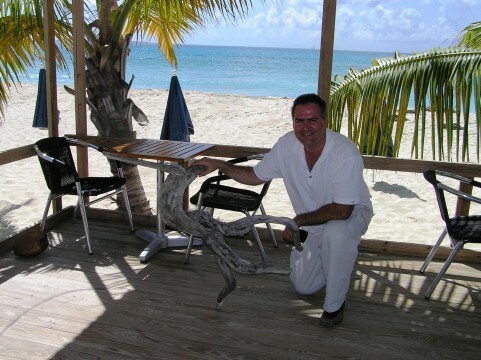 The hut is positioned on the beach between his restaurant and the turquoise waters of the Caribbean Sea. It’s a great way to decompress from the previous night’s activities and plan the menu for today.